Square coins are my favorite unusual coin shape. Being from the United States, a square coin is very different from the money I'm used to - it seems quite exotic, the epitome of a "foreign" coin. The square shape seems somewhat impractical - it doesn't roll, and it seems like getting a vending machine or coin sorter to handle square coins would be problematic (though I'm sure that countries that have square coins have these problems figured out). Because of their shape, they are easy to spot in a coin dealer's "junk" box. Square coins come in 2 different alignments, which I call "edge alignment" and "corner alignment". On an edge-aligned coin, the design is lined up with one of the coin's edges so that when the coin is held right-side up it looks like a square. 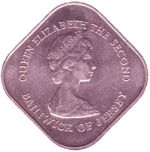 On a corner-aligned coin, the design is lined up with one of the coin's corners so that when held right-side up the coin looks more like a diamond (though it's really just a square standing on its point). For each type of square coin alignment, the obverse and reverse can then be medal-aligned (front and back face the same direction) or coin-aligned (front and back are rotated 180 degrees). (For more on medal and coin alignment, see my previous post about terminology). 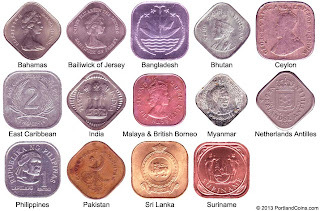 In the last century, several different countries have used square coins. 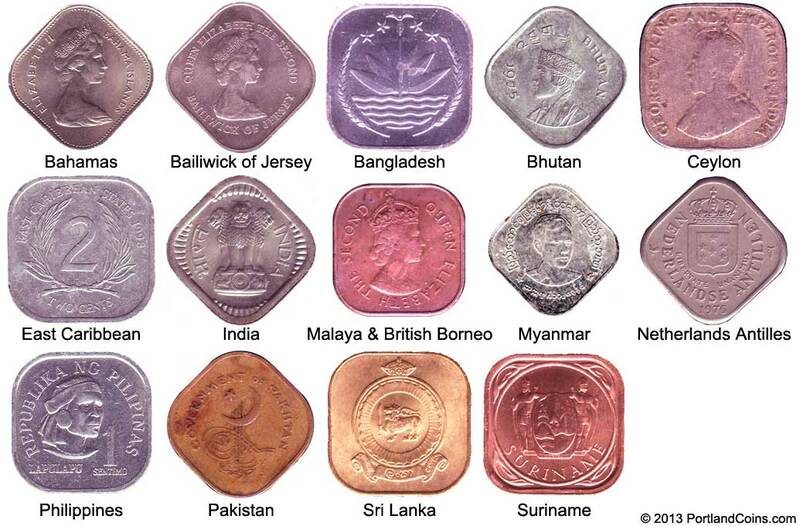 These are the countries that I am aware of that have had square coins, but this is probably not complete. Looking for square coins to add to your collection? 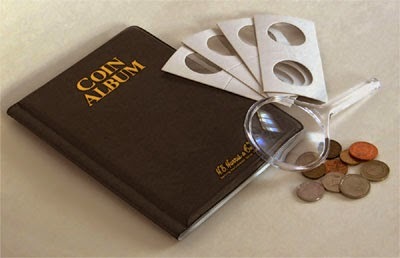 Check out our Square Coins Set.